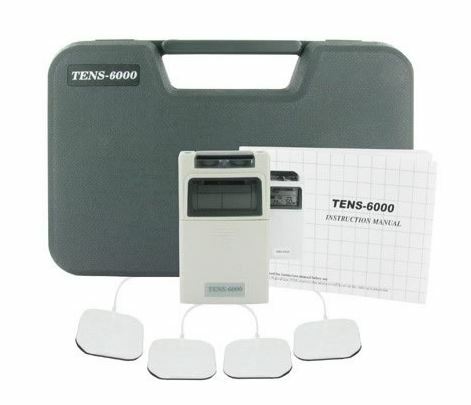 The TENS 6000 Digital TENS Unit is a simple-to-use portable electrotherapy device for nerve stimulation and pain relief with a digital LCD screen for easy control. 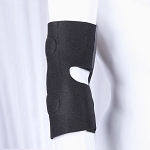 Highly recommended by chiropractors, physical therapists, athletic trainers, and many other pain management specialists - popular among patients all over the world. A perfect upgrade from the more basic TENS 3000 device. Features 5 different TENS output modes - Burst (B), Normal (N), Modulated Rate/Width (MRW), Strength-Duration, and Bi-Pulse. Pulse Amplitude (Intensity of the stimulation) is adjustable from 0-80mA in ~10mA increments, using the amplitude dials at the top of the device. 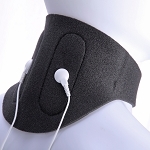 Dual channel TENS unit allows the use of either 2 electrodes or 4 electrodes at a time for optimal pain relief. 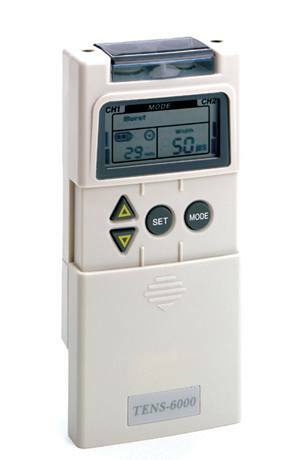 Treatment Timer adjustable from 5-90 minutes with auto-shutoff, or (C) for Continuous use until manually ending treatment session and/or the battery dies. Unit runs off of 1x 9V Battery. 1 Year Manufacturer Warranty - Any questions or concerns you may ever have, please just contact us and we will be happy to assist. TENS 6000 is a considerable upgrade. The buttons are covered from accidental pressure, and the dials are easier to use. Very good deal for the money.